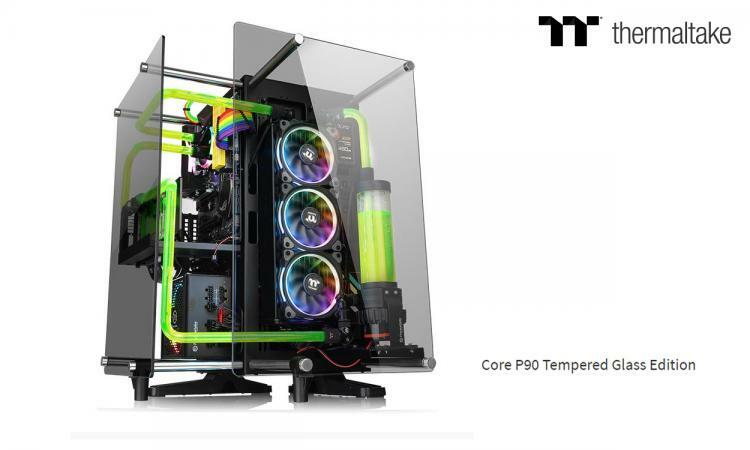 Thermaltake introduces a new open-frame chassis that sports three options of orientation and inspired by Casemod and DIY community – the Thermaltake Core P90 TG. 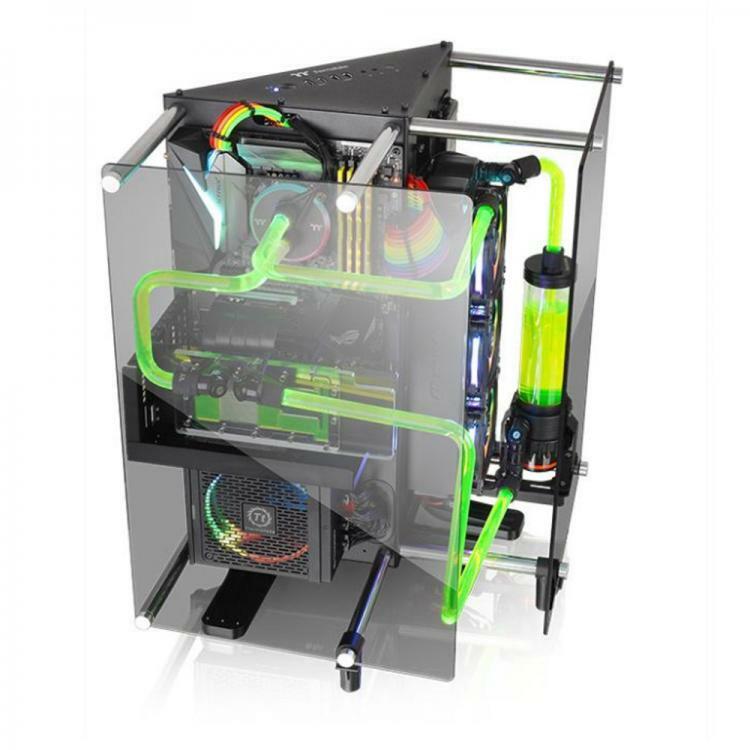 The Core P90 TG is covered with tempered glass panels and has a unique chassis design that features three compartments for PSU, graphics card and cooling components. Its unique shape makes it possible for three different placement layouts: wall mounted, vertical standing and horizontal laying. The Thermaltake Core P90 TG offers builders to build in a different angle and in more orientation options. 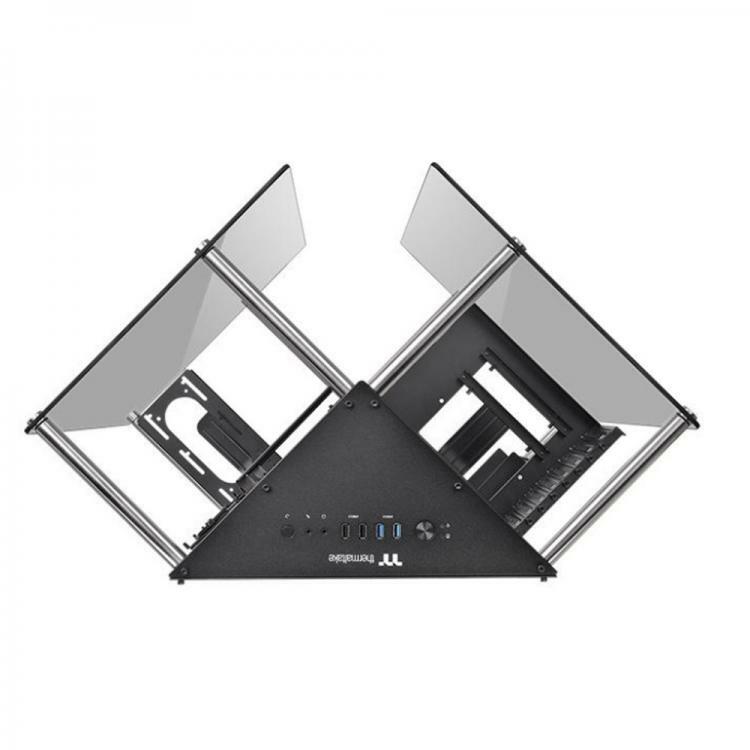 Improve cooling by isolating components in separate compartments. The 5mm thick tempered glass panels complete the aesthetics and protect each side of the chassis. The Core P90 TG is Tt LCS Certified that spells great compatibility for extreme liquid cooling configurations ensuring performance. 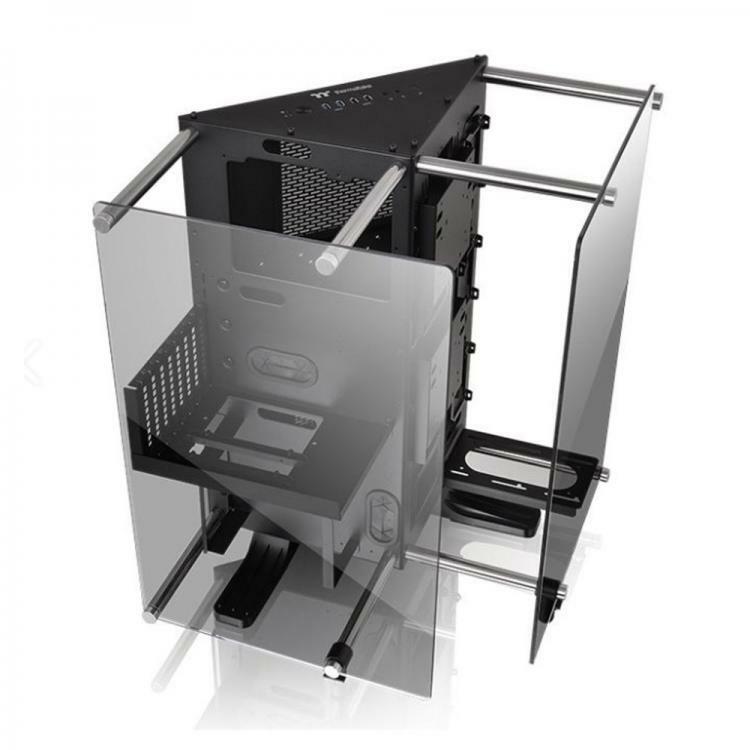 It supports up to a 480mm radiator, larger than what most mid-tower chassis can support. The Core P90 TG with its separate compartments has a flexible modular design which enables the builder to use the bare minimum panels, racks, and mounts as needed to keep the build clutter-free and neat. With this, builders can also enjoy easier installation and maintenance. 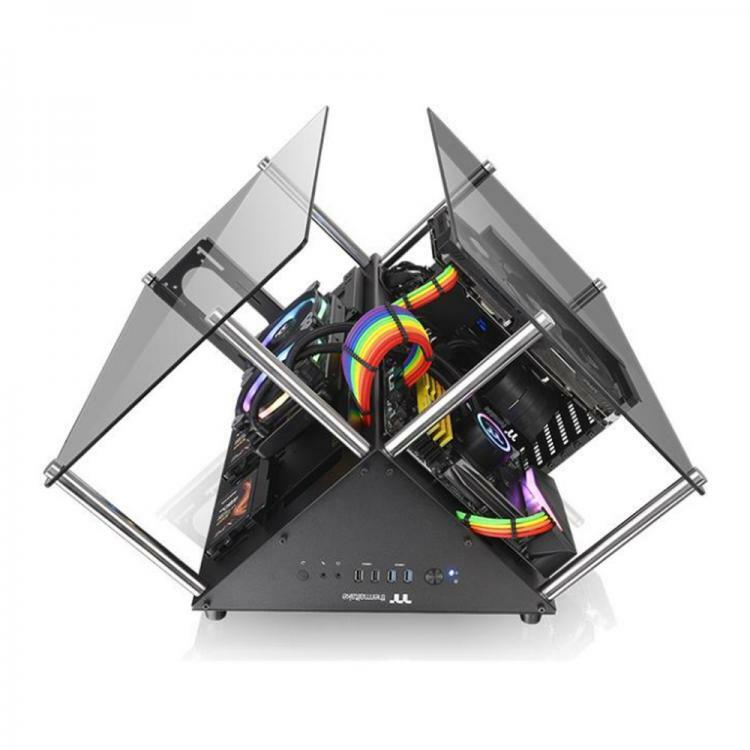 The case comes with the Thermaltake Gaming PCI-E 3.0 X16 Riser Cable enabling builders to choose the way you want to display your graphics card. Thermaltake TT Premium PCI-E 3.0 Extender (Optional) – Supports a wide range of GPU solutions with ultra-excellent quality. The Thermaltake Core P90 TG mid-tower chassis is now available for pre-orders at the TT Premium webstore with an MSRP of $179.99/199,00€.